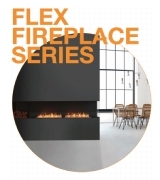 EcoSmart Fires grace living rooms, dining rooms, lobbies, bars, restaurants, al fresco areas of all styles – and now the global trend for the award-winning range of EcoSmart Fires – the leader in bioethanol fires – is to incorporate them into kitchen spaces. 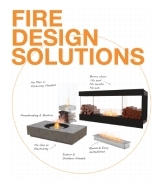 “In recent times a significant trend towards designers and architects using EcoSmart Fireboxes to create a distinct design / fire solutions,” says Jenny Price, Marketing Manager of The Fire Company. “The versatility of the EcoSmart stainless steel firebox inserts means they can be simply and cleverly incorporated into custom-made settings to enhance both a home’s distinctiveness and the residents’ lifestyle. 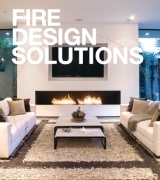 In Melbourne Australia, a tailor-made EcoSmart Fire defines the open plan kitchen and dining area at the home of renowned celebrity chef and restaurateur Guy Grossi, who is frequently sought to present his expertise in Italian culture and hospitality around the world. Architect Nicholas Murray chose the EcoSmart Fire because his client had wanted a fireplace, but a traditional one wasn’t feasible due to the amount of glazing in the newly extended home. The solution was to incorporate an EcoSmart Fire into the end of the white-toned Corian Island bench. The stainless steel firebox adds a distinct industrial touch and ties in perfectly with the kitchen’s other stainless steel elements including benchtops and kickboards. The end result is a fire that not only defines the kitchen area and creates a design statement, it also enhances the ambience and warmth of the dining space, which the kitchen opens out onto. A stainless steel EcoSmart Firebox (model 900SS) is also a unique island feature of another new, contemporary kitchen. This was installed into a long Nero Assoluto granite benchtop (absolute black with a high gloss shine), which connects the kitchen to the living area for an open plan ambience. 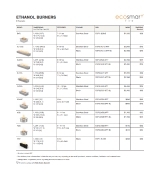 The clean-burning, renewable energy source – bioethanol – is another reason EcoSmart Fires are being installed, Jenny says. “It makes for a no-fuss, eco-friendly fireplace, and the fact that it burns clean means there’s little maintenance,” she adds.